I haven't seen this clematis bloom in a few years, I think being around the corner of the shed, it just doesn't get enough light. This year's the exception. Looks like it could be an Earnest Markham. 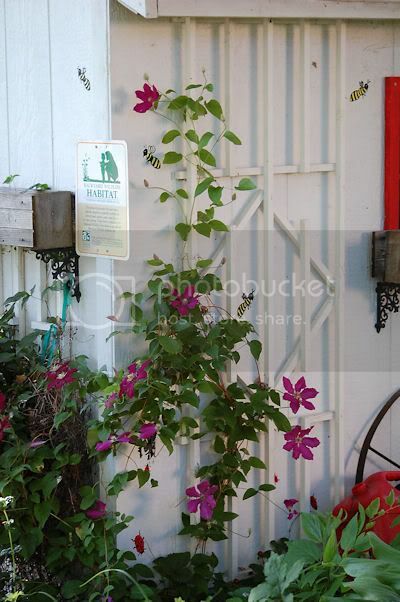 It looks great on that white trellis. Very nicely done.